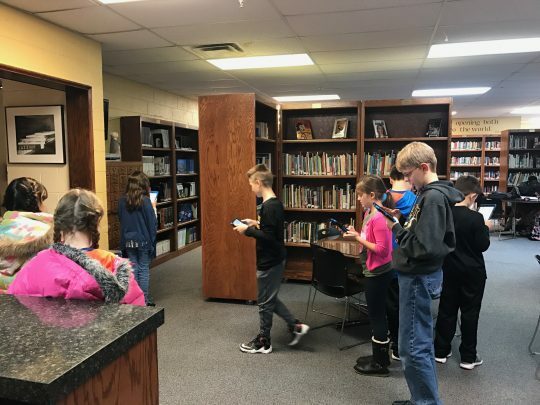 The FUSE program began its first week of coding class using their iPads and the Swift Playground programming language. The students are very excited about the class and Mrs. Bell and Mrs. Miller have prepared a semester full of fun and challenging activities for these 4th and 5th graders. Kindergarten students focused this week on books written by well known children’s book author Jan Brett. We compared the illustrations and the predictable clues throughout her stories. Our main book was titled The Mitten. We were able to enjoy hearing the story read aloud by the author herself via YouTube. This was really cool to hear how her voice sounded as she narrated the story. 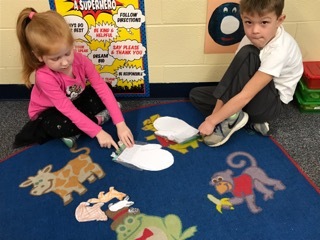 The students colored and sequenced the animals in the story to help retell The Mitten. They also learned about characters, setting, and naming the problem in the story. 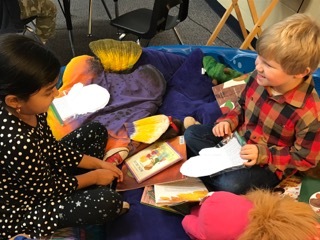 Each student was paired with another to retell and act out the story using their animals and white mitten. They are excited to be able to retell the story to their families.